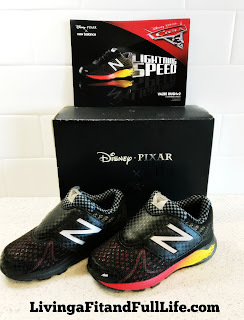 Living a Fit and Full Life: Bring Home the Thrill of Disney•Pixar’s Cars 3 with the Vazee Rush v2 Kid’s New Balance Sneaker! Bring Home the Thrill of Disney•Pixar’s Cars 3 with the Vazee Rush v2 Kid’s New Balance Sneaker! Bring home the thrill of Disney•Pixar’s Cars 3 with the Vazee Rush v2 kid’s sneaker. Lightweight in design, it features a mostly mesh upper and Rapid Rebound foam in the midsole that puts a spring in every step. Your kid’s engine will roar in this cool take on our popular sneak that celebrates the film's competitive spirit with hot-shot colors and unexpected design details. Inspired by Disney•Pixar’s Cars 3, this limited-edition lightweight running sneaker features Rapid Rebound foam in the midsole to help your little lightning bolt burn up the road (or the playground). Bring home the thrill of Disney•Pixar’s Cars 3 with the Vazee Rush v2 Kid’s New Balance Sneaker! My son is 2 and he absolutely loves anything and everything Disney•Pixar’s Cars. When he saw me pull these sneakers out of the box he immediately stopped what he was doing and came running over to me saying cars. He knew right away that they were Disney•Pixar’s Cars shoes. He of course wanted to wear them so we immediately put them on. I have to say I absolutely love that both sides come undone so I can effortlessly slip his chubby little foot into them. Usually, there's a tiny bit of struggle getting his chunky foot into shoes but these went on with ease. He immediately began jumping around and running through the house to test them out. It was completely adorable to see how much he loves his new shoes. 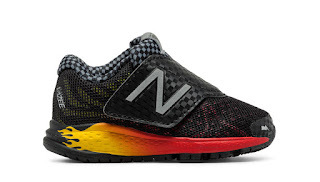 Disney•Pixar’s Cars 3, Vazee Rush v2 Kid’s New Balance Sneaker is the perfect sneaker for little boys! Click HERE to find a store near you that sells New Balance shoes! 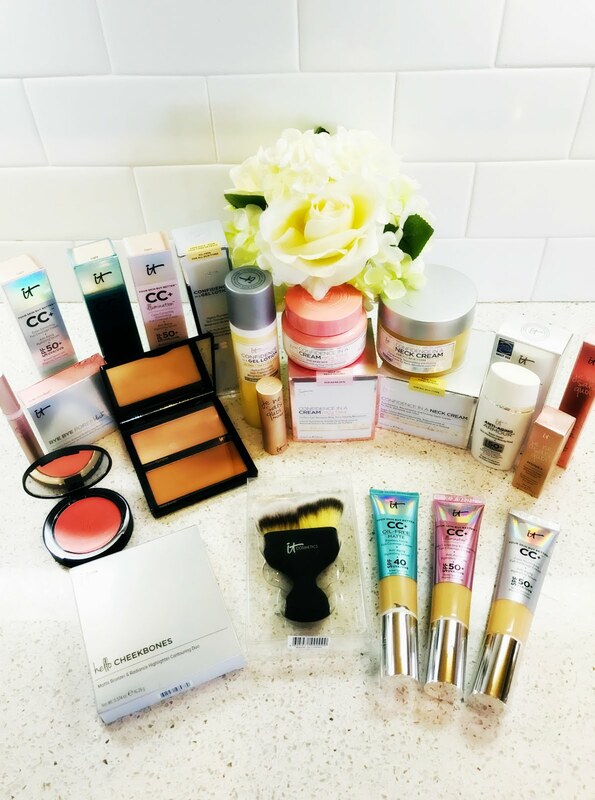 Click HERE to learn more about New Balance! 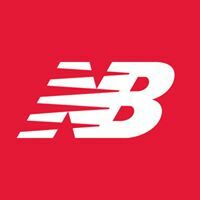 Follow New Balance on social media!